Regardless of whether these writers’ claim was true in 2013, is there any recent information that tells us anything definite about homeschooling and its effects? Yes, and it reveals more than many critics seem to want to admit…. One of the unique aspects of this review of research is that only peer-reviewed sources are noted and included for the aspect of the review that deals with the selected learner outcomes of academic achievement, social development, and degree of success in adulthood. In this, the purpose is to compare homeschool students to those who were educated in conventional or institutional schools such as traditional public, charter, or private schools. This is the first review of homeschool research to use this approach. Using only peer-reviewed studies enhances discipline and consistency in the review. It reduces the opportunity for the reviewer to be arbitrary, capricious, or biased in what is selected for inclusion. Further, it theoretically enhances the methodological soundness of the studies included in the overview, and thus makes the conclusions based on the data more dependable…. 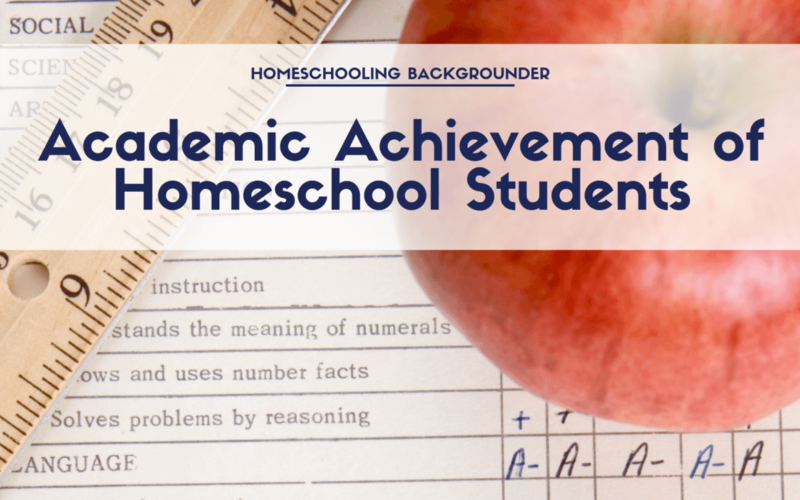 In 11 of the 14 peer-reviewed studies on academic achievement, there was a definite positive effect on achievement for the homeschooled students. One of the 14 studies showed mixed results; that is, some positive and some negative effects were associated with homeschooling. One study revealed no difference between the homeschool and conventional school students, and one study revealed neutral and negative results for homeschooling compared to conventional schooling. Both state-provided data sets showed higher than average academic achievement test scores for the home educated…. Does research on homeschooling tell us anything with distinctness, or not? Yes. Increasingly, research points to positive effects being associated with parent-led home-based education (e.g., see study on African American homeschool students’ test scores).